The 8th Annual CelticFest Vancouver, March 10—18, 2012 delivers its best celebration of Celtic music, dance and culture to date, with a jam-packed schedule of nearly 70 free and ticketed concerts and events over six days. 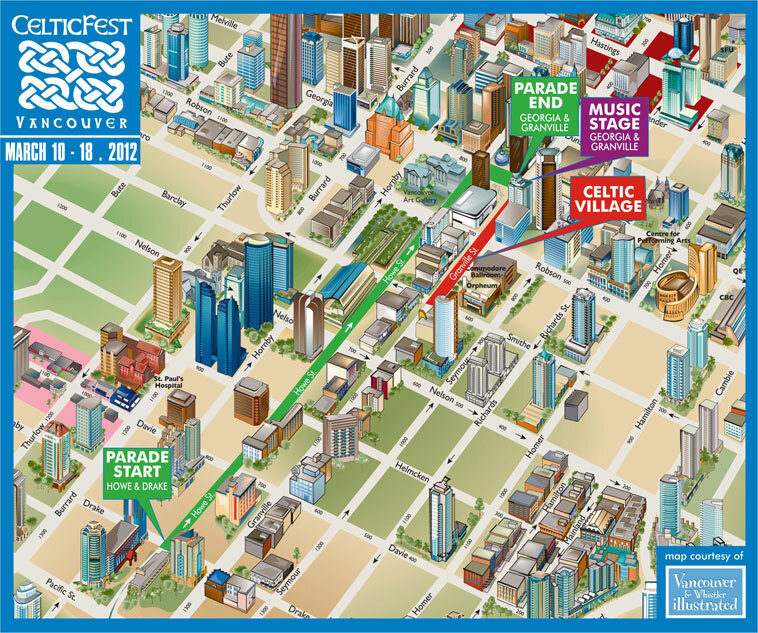 The festival is thrilled to again call the downtown Vancouver Entertainment District home, but is excited to be branching out this year with a special pre-festival “sneak peek” free event on March 10 at The Village on False Creek called Celts on the Creek. 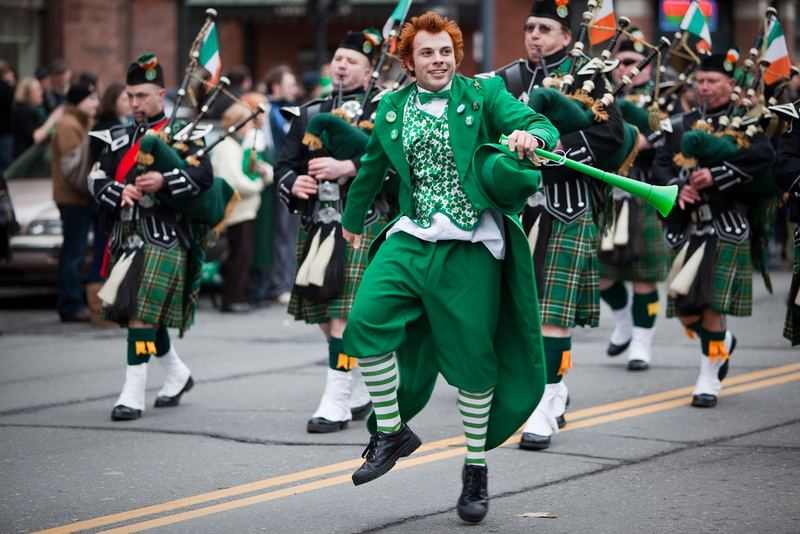 The wildly popular 8th Annual St. Patrick’s Day Parade, presented by Pacific Centre takes to the streets on Sunday, March 18th. This massive, fun and colourful (i.e. green) procession starts at 11am at Drake & Howe streets in downtown Vancouver, and follows Howe Street north, ending at Granville & Georgia Street. Over 200,000 people each year come out to see almost a hundred parade entries with upwards of 2,000 participants, including award-winning pipe and drum bands, marching Colour Guard, Celtic musicians, the Vancouver police motorcycle drill team and fire brigades, stilt walkers, colourful floats, vintage cars, Irish & Scottish youth dance and music groups, multicultural organizations and much more. A free pre-parade musical performance featuring the group Thereafter starts at 10:00 am Sunday on the Music Stage in the Celtic Village. After the parade, The Celtic Village (on Granville St. between Smithe & Georgia) is the place to go from more free concert and performances, food and unique family-friendly entertainment. Sunday, March 18, 2012 starting at 11:00 AM — with pre-and-post parade entertainment at the Celtic Village (along Granville Street between Georgia & Smithe St.) starting at 10am. The parade starts at Howe & Drake and proceeds north along Howe Street to Georgia Street, turns right on Georgia and ends at Georgia and Granville Streets. Before and after the parade (as well as on Saturday, March 17th) the festival’s Celtic Village offers many free Celtic performances, Celtic treasures, food and family-friendly activities throughout the weekend.